Panasonic GH5 - This is my small video camera. The Blackmagic Ursa Mini Pro is the main video camera and the Nikon D750 remains my main camera for still photos. The GH5 has an amazing set of video features and works great for the type of shooting I do--interviews, talking head, and every once in a while, events (I shot video for a wedding with it while the Nikon handled the still photos). 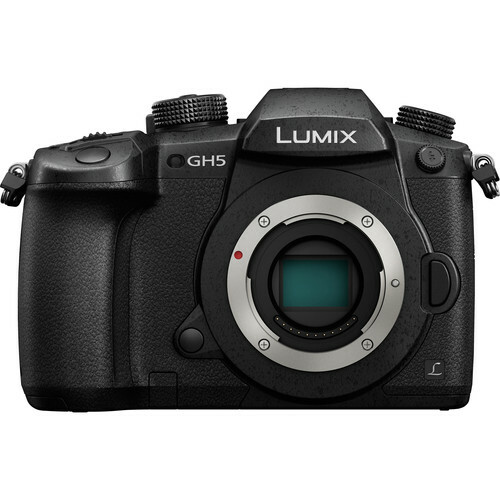 It is better at high ISOs than its predecessor, the GH4. I find that shooting up to 3200 ISO is completely usable, beyond that things get a bit too noisy. But shooting above 3200 ISO is a very, very rare need for my work. The 4K footage it captures internally at 4:2:2 10-bit is quite good and unprecedented in any other camera at this price. In most cases, I record the video from the HDMI output to my Atomos Shogun recorder in 4:2:2 10 bit color to a ProRes file. Working with ProRes is a dream on my iMac. It plays back 4K footage in a buttery smooth sort of way and makes editing fast and effortless, letting me focus on the art rather than technical details. I love the GH5's electronic viewfinder (having come from a DSLR that didn't have a working viewfinder for video). I upgraded to the GH5 from the GH4 which was my primary small video camera from May 2014 until May 2017. Before I received the Shogun in January 2015, I recorded 4:2:2 10 bit 4k footage from the GH4 to my Atomos Ninja 2 which results in a stunning HD image. This combination is great for almost any situation. The only downside is that the GH4 produces a rather noisy image in low-light/high ISO shooting situations. But the GH5 has addressed that quite nicely. 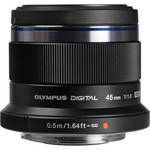 Olympus 45mm f/1.8 Lens (GH4)--native m4/3 lens that I have for my Panasonic GH4 which means that it auto focuses on my GH4. Nice clean optics, fast aperture, plenty of nice bokeh--actually better than I expected, and a decent price. Coming back to this a couple of years later and after a lot more use, this lens is optically stunning. Really glad I bought this. My go-to lens for interviews. Panasonic Panasonic Lumix G X Vario 12-35mm f/2.8 lens for micro 4/3rds cameras. This is the lens that stays on my Panasonic GH4 when I'm not shooting an interview. This is an incrediby versatile zoom. Images are sharp and clean, the max aperture of 2.8 gives me lots of light-gathering ability, and the focal length range is quite useful. It is plenty wide for nearly everything I need, and provides a little bit of telephoto reach as well. The image stabilization is very quiet and transparent. It is a little pricey at about $900 USD, but between this and the Oly 45mm, I feel like I have pretty much everything I need for almost every situation. SanDisk Extreme Pro SDXC Memory Card (UHS-I U3, class 10, 95MB/s) is the memory card I use in my Panasonic GH4 to record 4k video. I have NEVER had an issue with this card, even at the highest bit-rate recording formats on the GH4. No dropped frames, not corrupted files, not issues. I have had issues with other lesser cards. It is probably worth the extra expense. I've heard similar things from other GH4 shooters. SanDisk has never let me down. The Blackmagic Design Ursa Mini Pro is my newest video camera and serves as my main camera for most shoots. The Ursa Mini Pro surprised me. While I have always respected the cameras that Blackmagic Design produced, I did not adopt any of them for practical reasons. Their first cinema camera, for example, had an in-built battery that didn't last all that long, it was ergonomically odd, and it was almost exclusively focused on capturing a raw image. That's all very well when you want to make gorgeous footage and don't mind investing the time to get it. But if you ever need to turn something around quickly, it didn't seem like the right camera. Later, when the Ursa Mini was introduced in 2015 at NAB, it looked like Blackmagic Design was moving in a good direction with a slightly more ergonomic camera. But it still lacked some things I really wanted to make shooting enjoyable and efficient: neutral density filters and physical controls. It was also rather susceptible to picking up IR pollution which made black things look magenta-black. The Ursa Mini pro takes care of all of these things with ND filters built in and very well thought-out physical controls. The ND filters also cut IR pollution so they've taken care of that as well. I'm finding the microphone inputs to be accepable for use even on their own so when I have a situation where I need to turn things around quickly, I can send an XLR stereo feed to the camera. And of course the image it produces is simply stunning. The only real downside is the cost of running this camera - the cost of the viewfinder, shoulder mounting kit, C-Fast II Memory cards, batteries and charger, etc. But when you consider that all of the competitors are equally as or more costly, this is a good value for the feature set. For the time being, I use my Nikon lenses with a simple Nikon to Canon EF adapter on the Ursa Mini Pro. Nikon D750 -- I bought this in October 2014 to replace my Nikon D600. The D600 had a few issues that I did my best to work with but when I missed several shots at a wedding, I knew I needed to find a better solution. The D750 solves all of the issues I had with the D600. It is fun to photograph and film with my Nikon camera again! The problems I needed to solve were focusing in low light (definitely NOT the D600's strong suit), and resolutions to several issues with video including some sort of exposure tool (e.g., histogram at the very least), the ability to change aperture without having to drop out of live view, strange green color casts in almost everything, and very bad moire and aliasing. I'm amazed that Nikon appears to have solved each of these very nicely with the D750. Why didn't I opt for one of the Sony A7 cameras instead? First let me say that I think Sony is doing a very nice job with their latest cameras, really pushing the limits on several interesting fronts. I think that the A7 models are brilliant cameras, just not the best choice for the type of shooting I do. My first priority is great still images at events like weddings, corporate head shots, senior pictures, and family portraits. The problem with the A7 series for my types of shooting is that they do not have as nice a speed light system as Nikon, and it don't have as many native lens options. So I think that the A7 series could be a great camera for filmmakers that do some casual photography, but probably not the best fit for pro photographers that have a filmmaking hobby (unless it is a 2nd or 3rd camera). Oh, and I already have a nice kit of Nikon lenses. To be entirely honest, I yawned when I first heard the Nikon D750 announcement. But once I started researching it a little more and went and tried one out, I was very impressed. It was all rather strange because I had my heart set on moving away from traditional DSLRs. I just don't see any obvious options for serious event photographers yet. I know, I know, there are a bunch of high-end photographers that use micro 4/3 or Sony mirrorless cameras to shoot weddings but it just doesn't work for my particular style. I am still hopeful that my next camera purchase to replace the D750 will be mirrorless. Please, Nikon, can you do something about this?! A full frame body in the size range of the Panasonic GH4 would be amazing. Sony a6000 - In December 2015, the a6000 was on special and I decided I wanted to give Sony a more serious try. I really like what the a6000 offers which is a fair bit different than my other cameras. The main feature is its size. This makes it easy to take along almost anywhere. The video footage is quite good for such a tiny little camera and the high ISO performance is quite good (I find that ISO 3200 footage is completely usable without any post noise reduction needed). The price on this little camera is amazing in December 2015 - body only was less than $400 USD. I also find that I really like the APS-C size sensor for most video work. It is a nice middle ground that allows you to throw the background out of focus when you want to (if you've got fast enough lenses to do it) but you're not always fighting to get decent focus like on full-frame sensor cameras. Am I going to sell my other cameras now that I have this? No, not at all. This camera has its quirks. I don't love the menus or controls, though they are adequate. I can't work as quickly with this as I can with the GH5 and maybe that's just because I'm new to the Sony system. The color science in this camera is decent, but not to my 100% liking (this is partly a matter of preference). The batteries are pretty small and so you need to change them out more often than the GH5 or Nikon but it is easy to carry along a couple of extras since they are so small. On balance, a GREAT little camera. Sony 50mm f/1.8 OSS Lens - This is the first lens I bought for my Sony a6000. No zoom, but a nice fast lens with plenty of sharp, detailed resolving power. I can throw a background out of focus without much effort with this combo. Colors are good without any obvious issues that I've seen. Nikon 50mm f/1.8 AF-D Lens--If you're looking for a sharp lens for a Nikon or to adapt to another camera, this one fits the bill at a very attractive price (just barely over $100 USD). The quality of the bokeh is not the best I've ever seen, but it produces plenty of it, being a fast lens so that's the main sacrifice. Still, I have no regrets having bought this almost five years ago and still use it all the time. I also used to own the equivalent Canon 50mm and this Nikon blows the Canon away in build quality. Oh, and you get a manual aperture ring to boot! Nikon 20mm f/2.8 AF-D Lens. This is my favorite, reasonably priced wide-angle prime lens for full-frame cameras. It was designed a long time ago and it isn't optically perfect but it is pretty darn good. Reasonably fast at f/2.8, also adapts well to the Panasonic GH4 with the Metabones Speedbooster. I've used this a ton for landscape photography but also use it when I need to hand-hold my camera while shooting video for behind the scenes type of tours. Nikon 80-200 f/2.8 AF-D. This is a beast of a lens--Nikon's older version of the pro tele zoom. It isn't quiet and requires one of Nikon's enthusiast or higher camera bodies to auto focus, but the images are pretty awesome. Yes, the newer versions (they're re-formulated this lens twice since this model) are probably better in technical terms, but I've not been disappointed with this lens. And for video, I get the old-school aperture ring. It also adapts nicely to other cameras--both my former Canon 60D and my current Panasonic GH4. - It records to ProRes files which are much, much better to work with in editing and color correction and grading (on a Mac, at least. I hear it isn't so great on a PC). ProRes files take up more space, but your computer can play them back with less lag because they aren't so heavily compressed. - Beautiful 7 inch, IPS screen that can be color calibrated. This is more than just an aesthetic nice-to-have. This has drastically reduced the number of cases where I have missed focus because it was just too hard to tell whether I was in focus on that little camera LCD or viewfinder. I know, I know, the GH4 has built-in focus peaking and that helps most of the time, but when you're doing product shots, which I've found myself doing more and more lately, that's still not enough. You need to know which part of the front part of the product is in focus. - Exposure and focus tools. These are incredible, again, reducing the number of times I've bungled a shot because now I know whether I've nailed it. Waveforms, parades, vectorscopes, false color, blue channel, focus peaking, focus peaking b/w, etc. These are worth more than you might assume if you're shooting often and re-shoots are expensive. There are some down sides and at its original price of $2000 USD, this recorder is not for everyone. The XLR audio inputs are ok, but not amazing so I still use my other audio recorders. The battery life is pretty short. The included battery only gets me 30 to 45 minutes of shooting time so you'll need additional, larger capacity batteries. And the image quality is not night-and-day different from what the camera records. So don't run out and buy this if that's what you're expecting or you WILL be disappointed. However, for those shooting professionally that cannot afford to miss "the shot", this is an amazing tool. Atomos Ninja 2 HD HDMI Recorder. Why use an external HDMI recorder? There are several reasons but these are the reasons that mean the most in the type of video work I do: ProRes format which is a dream to work with in editing and grading. My ProRes footage screams out of DaVinci Resolve at 90 frames per second at render time. For comparison, regular H.264 footage renders out at about 24 frames per second. I get more color info which in my subjective view gives me more room to make corrections or apply grading looks. The footage is not night-and-day different from regular H.264 footage in terms of the look of the un-edited clips, but I get more headroom to make changes. And since I grade ProRes, it all works in real-time with virtually no dropped frames. Also, the Ninja 2 has a bunch of tools to help with exposure and focus which my Nikon certainly doesn't have, and which my Panasonic only has a few. False color, for example, makes it super easy to see which elements of your frame are over or under-exposed and where they fall in the overall dynamic range. So this little device doesn't give you amazingly better footage automatically, but streamlines my workflow and gives me a bunch of tools to shoot more reliably (e.g., I'm rarely out of focus anymore, and my exposure is almost always right where I want it). Once you have all this gear, it makes sense to find a way to connect it all together rather than fumble around with it all. For my Panasonic GH4, I use the Fhugen Honu V2.0 camera cage. This allows me to protect the camera and attach my Atomos record and Tascam audio recorder into one, easier to manage unit. Priced at around $150 without the handle was a pretty good buy. The DPA 4017B is my primary shotgun microphone. The microphone is very small and light relative to other medium shotgun microphones. It has a focused pickup pattern which is directional but not so tight as to make slight mis-aims problematic. It sounds sweet, it's off-axis rejection at different frequencies is smoother than most other shotgun mics, and it has been very reliable so far. The 4017B is my favorite mic. Audio Technica AT4053b Hypercardioid Microphone--When recording dialogue indoors for things like interviews or talking head, this is a great choice. It has a nice, realistic low end and open higher-end response. Seems to do slightly better at rejecting echo indoors vs. most shotgun microphones. Aputure Deity Shotgun Microphone - This is an interesting new shotgun microphone from a company that has been branching out lately. It has no switches for high pass filters or high frequency boost or anything else. It does not have a battery slot so you have to power it from your recorder (won't work with an XLR to 3.5mm adapter). But despite all that, it sounds quite nice - a nice compromise between warm and natural and its high frequency response is nicely balanced for most voices. It also has a sealed circuit board so if it gets wet, you just let it dry out for a couple of days and you're back in business. The only downside is that its pickup pattern is not quite as focused as some of the others so it may be a better choice for foley work than as an all-purpose mic. RODE NTG4+ Shotgun Microphone - This was my primary shotgun microphone after the NTG2 has served me so well for about 5 years. The NTG4+ improves on the NTG2 in several ways including a re-designed capsule, less self-noise, an inbuilt lithium battery that can power the mic for 150 hours, electronic buttons for high pass, -10dB pad, and high frequency boost so that your sound isn't muffled when you record with the mic in a blimp, zeppelin, or other furry cover to reduce wind interference. Check out the review here. But over time, I have found that I just do not love the sound of this mic in most cases. So I haven't pulled it out as much lately. RODE NTG-2 Shotgun Microphone--I've had this mic for about 3 to 4 years and have used it extensively. I've even used it indoors (which is not really what shotgun mics are designed for) but it seems to work ok in rooms that don't have extreme reverb issues. It does not put out the hottest signal but sufficient if you use a recorder like the Tascam DR-60D. The signal is clean with a nice low-end and somewhat airy high-end. It can also be battery powered which is helpful to extend the life of the batteries in your DR-60D. This mic does NOT work well with those XLR to 3.5mm adapters to plug directly into your camera, mainly because the output is just not strong enough. RODELink wireless lavalier system--This wireless system is different than the traditional systems like Sennheiser's G3 Evolution system which use UHF frequencies. Instead, RODELink uses the 2.4GHz frequency to transmit an encrypted digital signal. So far in tests, this system is top notch. Even in Wifi busy environments with over 10 wifi hotspots, I get clean audio with no dropouts as far as I was about to test (about 60 meters indoors). And in this case, the talent was also carrying his mobile phone in his pocket with all its radios on. It wasn't until he walked well around a corner beyond the 60 meters (out of line of site) that we started experiencing dropouts. The included RODE Lavalier is not my favorite lavalier - the best way I can describe its sound is "crunchy". It normally sells for $250 on its own so that it is included in this kit is impressive. Here's the review of the RODELink. Sanken COS-11D Lavalier Microphone--This is one of the most common lavalier microphones used by pros for film and TV production. I much prefer the sound of this lav to the RODE and it cuts decently with my boom mics. Voice Technologies VT500 Omni-directional Lavalier Microphone. The VT500 is a great sounding pro-grade lavalier microphone I recently added to my kit. I prefer the sound of the VT500 over the Sanken for mid-range heavy voices so I really see this as a nice complement to the Sanken COS-11D. Between the two, one of them almost always sounds great. We'll see how things go over the next several months but I suspect I'll be reaching for the VT more often than the Sanken in my corporate work. Audio Technica AT899 Lavalier Microphone. This is a good mid-range lavalier microphone. I don't generally use a lavalier but sometimes a boom mic just won't do and so you must use a lav. Among lavaliers in the sub-$200 US price range, this is the best I've found so far. Also, when pitted up against 5 other lav mics, this is the mic that won the subjective sound test (which one sounds best to you?). It has an XLR connector so you need a proper XLR based pre-amp/recorder. The only thing I don't love about this mic is that the battery pack is a cylinder without a belt clip. Not sure I follow Audio Technica's thinking on that, but I just put it in my back pocket and deal with the awkwardness. 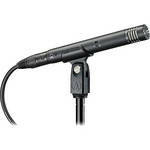 RODE NT1A Condenser Microphone. This is the mic I use most for voice-over work, especially in rooms with a lot of echo. It is a little bright on the top end meaning that it tends to emphasize sibilance a little more than I'd like but it sounds amazing with most peoples' voices. Needs a proper XLR preamp to power it, like the Tascam DR-60D. Comes with everything you need except a mic stand. Electrovoice RE20 Dynamic Microphone - This is now my microphone of choice if I'm doing a screencast. It isn't as sensitive as the RODE NT1A, and that works in my favor when working in less than optimal rooms with plenty of reverb or other ambient noise (computer fans, etc.) Rich sound, even when I turn on the high pass filter (arguably a little too bassy if you don't use the high-pass, unless you want that 1980's FM radio announcer voice). On Stage Stands Euro Boom Microphone Stand. With all these mics, you're going to need a stand at some point! I've had two of these for a long, long time. I bought the first one about ten years ago and it is still going strong. Also works well for booming a shotgun or small diaphragm condenser mic overhead for interviews. K-Tek KEG 150CCR Carbon Fiber Boom Pole - when shooting my corporate pieces, I almost always prefer a boom mic over a lavalier but almost always record with both for safety. 9 times out of 10 I'll end up using the boom track. To get that boom track, you've got to get that microphone in close to the talent whether they're seated or moving around. The KEG 150CCR is a joy to use for getting that sound. The carbon fiber makes it incredibly light but sturdy. The internal cabling keeps things clean and simple, and the right angle XLR output at the base of the pole means I can rest the end of the pole on the floor between takes (because as light as it is, anything is heavy after a 5 minute take). Sound Devices 633 Audio Field Mixer/Recorder - Because I'm starting to do pro-level audio jobs, this is my new main audio mixer and recorder. Yes, this is an expensive piece of gear, but once you understand why it is priced at $3200 USD, the price shock quickly wears off. This machine helps the pros get the job done without requiring a lot of retakes. It is more than I can explain in a paragraph but please see our piece on why pros use gear like the Sound Devices 633. At first I was skeptical that it would be much better than the Zoom F8 and if it was, in what ways could it be so much better? It is better in terms of audio quality and build quality, yes, but it goes far beyond that as well. the ergonomics of this mixer are really quite amazing. Acting quickly, like you must when mixing during a shoot, is much easier on the 633 than on the Zoom. It has proper faders which are large knobs (technically, they are potentiometers with large knobs) and are silky smooth, making it a breeze to react quickly to changing sound. The headphone amplifier is much better than the Zoom's and the screen is a little larger. There are four battery powering options including Hirose DC input and Sony NPF batteries so it is actually less expensive to stock up on batteries for this than the Zoom (no Sony NP-F option unless you buy an NP-F to hirose plate). The list goes on and on and it is the sum of all those little things which make this a solid choice for pros. Sound Devices MixPre-6 Audio Mixer/Recorder - This is Sound Devices first serious foray into meeting the needs of more serious YouTubers, podcasters, and gigging musicians. Without blathering on about it here, see my review above. In short, this is my favorite sub $1000 audio field recorder for film and video making. Zoom F8 Audio Field Recorder - Zoom has really upped their game with the F8. The preamps are fantastic! The build quality is great. The size is super convenient whether in a bag or on a cart. This is an amazing little device for solo and small crew shooters. To my ear, the preamps are nearly as good as Sound Devices 7 series recorders. Lemo DC input so I can use pro-level batteries like V-mount or Gold mount (Anton Bauer). There are a couple of things that Sound Devices and Zaxcom mixers have that this doesn't (like large faders, analog limiters or super wide dynamic range, etc), but for the money, this is the best I've used in this price range. Have a look at my review. Zoom F4 Audio Field Recorder - This is the newer, little brother to the Zoom F8. Like the F8, very good durable case, impressive preamplifiers with 75dB of clean gain, very flexible routing, dual SD card recording and on and on. If you can spend around $600 for an audio recorder, I'd say it should come down to this or the Sound Devices MixPre-3. 25' Nady XLR Cable--You've got to have an XLR cable to connect a pro-grade mic to the Tascam DR-60D. This one does great. Giant Squid Audio Lab Omni Mono Lavalier Microphone--This mic is the best sounding $40 mic I have used. I plug it into the Zoom H1 and use it like a wireless lav (but of course, I have to sync the audio to the video in post/editing). The new version also includes options for a 90 degree plug which I recommend because then with the Zoom H1, it fits more easily into the pocket of your talent. JK MicJ 044 Omnidirectional Lavalier Microphone--yet another cheap lavalier microphone with a 3.5mm plug that comes in at around $30 USD. It is more sensitive than the Giant Squid and I think it sounds a little better (but that's subjective). The only down-side is that when recording to a stereo recorder like the Zoom H1, it only records to the left channel. So at playback, sound only comes out of the left speaker. This can be easily fixed in post, of course, but it is one more step. RODE smartLav+ --This is a good sub-$100 lavalier option if you do not have a dedicated audio recorder and want to record into your smartphone. The original smartLav was riddled with noise issues but it sounds like RODE solved that problem with this update. Super convenient, great build quality, and comes with a reversible clip, velcro to manage the cable, a foam wind screen, and a little carrying bag. Can be a little on the sibilant side but I mount mine upside down when recording people with sibilant voices and that cuts some of that sibilance out rather nicely. RODE invisiLav is one of the better devices I've found for hiding a lav mic by mounting it underneath your talent's shirt and preventing the noise of rustling clothes. It isn't perfect if your talent moves a lot, but it is the best I've found yet. Aputure Light Storm LS1s LED Panel is currently my go-to light. I have three of them and between them, I can light most everything I need to light for corporate video and interviews. The biggest requirement I had for moving to LED lights was color rendering. It needed to render colors naturally and be nearly as good as the tungsten lighting I was used to using. It also needed to cost less than $1000 per unit. It also needed to not have a fan that would interfere with audio recording. The Light Storm checked all those boxes nicely. To be completely honest, I am not always a fan of LED panels because they generally have a fixed beam and because LED light is generally soft already, you can't cut the light with barn doors. Yes, there are barn doors on this unit but it mainly just concentrates the light very slightly. No clean cuts like you might expect on a fresnel light. That's not generally a huge issue for me because with interviews, I'm usually fine with soft washes of light. For background light where I might want to add a "slash" of light, and that's where the Aputure Light Storm COB 120t comes in handy. Aputure Light Storm COB 120t is Aputure's new hard light. Since it has a Bowens S Mount on the front, you can attach a huge number of light shaping accessories including soft boxes, barn doors, beauty dishes, fresnel lenses, and snoots. The color output is roughly equivalent to a 750 watt tungsten flood, or when using the fresnel, up to 1.5K when hard spotted. Color quality it superb - CRI 97 and my practical tests confirm that. The color temperature is 3000 Kelvin (tungsten) so it doesn't mix with daylight but Aputure has a daylight balanced model on the way in early 2017. Because it is a single LED, there is a fan to keep things from getting too hot but thankfully, it is an incredibly quiet fan. That's good, because I'm a stickler for quiet on the set and I haven't had a problem with picking up the fan noise in my audio recordings. So far, I absolutely LOVE this light and can't wait for the daylight model. Photoflex Starlite QL Large Softbox Kit was my go-to light for interview and talking head video and still shots until I finally found a good LED panel. Yes, its an old-school tungsten light and yes it is huge and yes it gets hot and no it does not come with a dimmer and no, it doesn't mix well with daylight unless you gel it. But despite all that, it produces the most beautiful soft light and most accurate colors I've ever seen from a lighting instrument. I use this when I'm working in a studio or room where I can eliminate most other light. The kit comes with the light head, large soft box (and they really do mean large in this case), two 1000 watt bulbs, and a solid light stand to mount it all up. Lowell Tota-Light is a very small, tungsten flood light with a rather clever design - it produces all the beautiful color that tungsten provides. I also picked up the optional umbrella that softens this and I used it mainly as a kicker to wrap around one side of the talent's face from behind. Also good if you just need to flood a room with a little more ambient light. Not for mixing with daylight and uses 750 watts so you have to watch your circuits to make sure you don't trip the breakers or blow the fuses. Remember to calculate how much load you place on the given circuit, check the amperage of the breaker and then plug that in to the following formula to see how much wattage that circuit can handle: Watts = Amps x Volts. In the US, use 120 volts. So a 20 amp circuit should not be loaded with more than 20 amps x 120 volts = 2400 watts. Best to leave a little headroom as well. Limo Studio 650 Watt Fresnel is another old-school type of light for film and I love to use this as my kicker, hair, or backdrop light. You can also put a smaller 300 watt bulb in it if you want a little less output when using it as a kicker or hair light. This is how I usually use it. It has all the same issues as above--tungsten hot light that doesn't mix well with daylight, uses a lot of electricity, etc. But I still love the quality of light it puts out. None of the other lighting technologies produce light with as much color accuracy. And that matters if you don't have a ton of time to spend fixing things in post, like teeth that look more yellow under fluorescent lights (even with high CRI bulbs) and skin tones that look off with sub $2500 LED lights. Of course if you have a little more to spend for a light that will probably keep working for you for 30 years, have a look at the original Arri 650 Plus Fresnel. It seems ridiculously expensive until you've experienced its quality. Kupo Backlite Stand--just added this to the kit a couple of weeks ago and find it very useful. I mount my Limo Studio fresnel light on this stand and set it on the ground just behind the talent, aimed at the backdrop. Makes it easy and convenient to get some light on the background, particularly when working in a small space which is a common situation in my shoots. Great, solid build. I expect many years of use out of this. ePhoto 4500 Watt Softbox Kit. This was my workhorse lighting kit until I bought the Photoflex Starlite (above). This three soft box kit produces plenty of light output for a one or two person shot with daylight balanced compact fluorescent bulbs. The color produced by this light is ok, not great, but if you're on a budget, this is a great place to start. The build quality of the light heads is decent though the stands are a little flimsy and the soft boxes are not easy to breakdown after use. I recommend only using this kit if you're going to use them in the same location and just leave them set up. Otherwise, they feel like they'd break pretty quickly. Westcott Photo Basics 5-in-1 Reflector. I bought this as my first reflector about 7 years ago and that original is still going strong and getting near daily use. I've added 3 more to my kit since then. This isn't quite the quality of a Lastolite reflector but it is also about 1/2 the price. I've found that reflectors, bounce cards, or whatever you choose to call them are one of the most useful pieces of lighting gear. It just so happens that they are reasonably priced as well, at least relative to most lighting instruments. I use them in studio, outdoors, on-location, you name it. Of course it has the removable cover which gives you four reflector options. I find the white, silver, and gold useful most often, and the black makes a good flag for blocking light. The scrim in the middle is a great diffuser for both outdoor use (to diffuse harsh sunlight) and in studio (to diffuse hard lights). Lastolite EZ Balance Card. This is another inexpensive piece of gear that has improved the quality of my photos and video countless times. I use it mainly for setting custom white balance to get colors right on and sometimes also for exposure when shooting a high or low-key shot (pure black or pure white backdrop, for example). Folds up nicely and is very well made. I've had mine in near daily use for probably 4 years now. No signs of wearing out. Impact Turtle Base Century Stand Kit. I know, I know, it is hard to get excited about stands for lights and flags because stands don't directly affect how your film looks or sounds. But what I've found over time is that because I have three of these, I spend less time trying to rig up lights and flags (to keep light from spilling where I don't want it) so shooting is quicker, and frankly, a lot more pleasurable because I'm not fighting with cheap stands that easily tip over. No, these things are not light weight so if you have to haul them around, you're going to get some serious exercise. But exercise is good for your heart. ;-) They can hold just about anything in just about any position and because they're so heavy and solid, concerns about tipping are much less than with traditional, lightweight portable stands. The turtle base makes is super easy to setup and breakdown and the grip arm can hold anything. They're way pricier than the cheap hollow aluminun stands but I have never felt a twinge of regret for buying these and I'm pretty sure they'll still be in good working order even after I'm not able to lift them anymore in 60 years from now. I use an iMac 5k for editing. It is a very nice computer but it does not have a lot of storage and I didn't opt to pay the Apple tax for the 1TB SSD option. I also didn't want the Fusion drive option because I wanted to keep things as cool as possible in that skinny case in light of the fact that I upgraded the CPU and video card. So, I needed external storage that was fast but less than $1000 USD. I looked at a lot of Thunderbolt 2 RAID enclosures but most of them are well over $1000 and most with the capacity and speeds I wanted for editing and grading 4k footage were over $2000. So I took a chance on the Other World Computing Thunderbay 4 RAID Edition. This is a Thunderbolt 2 four disk enclosure. I bought the 8TB version. It is not a hardware RAID enclosure. At first I wouldn't consider anything but hardware RAID options. But on further research and given that this was priced at just under $1000 USD and that it did very, very well in benchmark tests and reviews, I took a chance on it. And I do NOT have regrets! I LOVE it! It works beautifully with the iMac 5k for editing and grading 4k footage. On my previous old Mac Pro with 6 cores and a GTX 680 video card, many 4k clips would drop frames. Now with my 4 core iMac and the Thunderbay, 4k footage plays back as smoothly as silk. To be fair, I don't typically do more than 2 camera multicam so I'm not stressing it like many other pros might. But I get 530MB/second+ read and write speeds consistently with this and there doesn't appear to be much CPU overhead. Oh, and I've got this configured as RAID 5 which should impose slower speeds and more CPU overhead. No issue here! Ethics statement: Some of the links above are affiliate links which means that if you click on them and buy, I get a small commission. You don't pay more by clicking these links than if you just went to Amazon or B&H Photo on your own. I use the proceeds to buy additional gear to review and help you improve your sound, lighting, and video. Thanks for your support!